This guide book is for discerning visitors to the island who are interested in learning about the ‘real’ Amorgos. 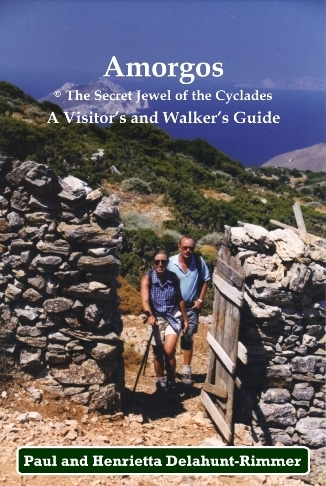 The authors introduced walking tours to the island in 1999 and have established it as primary destination in the Greek islands for walkers. After many years of guiding clients and even local people to some of the amazing sights described they now reveal all. This book takes you to hidden places previously never recorded or seen by visitors without guides - hidden coves, crystal deposits, caves, Neolithic mines, ruined villages, unlisted 6,500 year old archaeological sites, to name just a few – the ‘secrets’ of the ‘Secret Jewel’. It contains many colour photographs and detailed topographic maps of Amorgos.